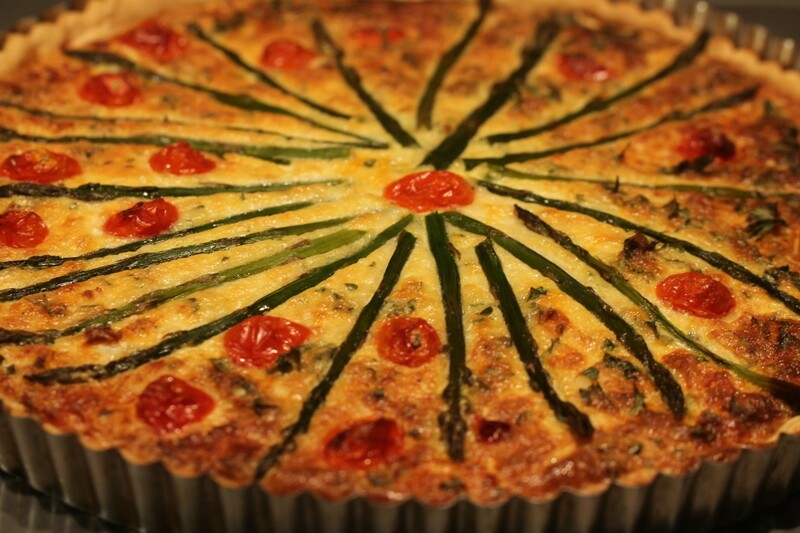 In some ways, the Quiche once seemed a fad to sweep this country with its various combined versions of savory ingredients served at luncheons, brunches, light dinners, and oftentimes in different shapes and sizes at all types of parties and gatherings. Despite its flavor and ease of serving hot, cold, or room temperature, the vogue also seemed to coincide with the saying “Real Men Don’t Eat Quiche.” I dare say that many of those who took to the buzz line, constantly repeated like a top twenty hit, hardly realized that the line was the title of a book merely ‘satirizing the stereotypes of masculinity.’ Nevertheless, there it was out there like the incubation of a chicken sitting on eggs until finally pushed out and shortly thereafter even the women’s- only quiche serving luncheon dish along with the trend of the popularized ready to go pick up gourmet meal faded to the next emerging taste. 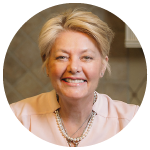 Perhaps the essence in the longstanding commonality of the Quiche was doomed at the beginning, its introductory the French Dish, Quiche Lorraine. Lorraine, quite possibly the Quiche would have served better longevity as Quiche Arthur or Philippe, after all its traditional common ingredient includes much loved crispy cooked bacon, perhaps ham even as the suitable substitution. Who could deny ‘real men’ enjoying such a dish. Nevertheless, I have never really stopped appreciating the value of a good Quiche in its simplicity admiring its quite agreeable versatility among many friendly ingredients shared together in one light, crusty, creamy delight. Preheat oven to 350 degrees. 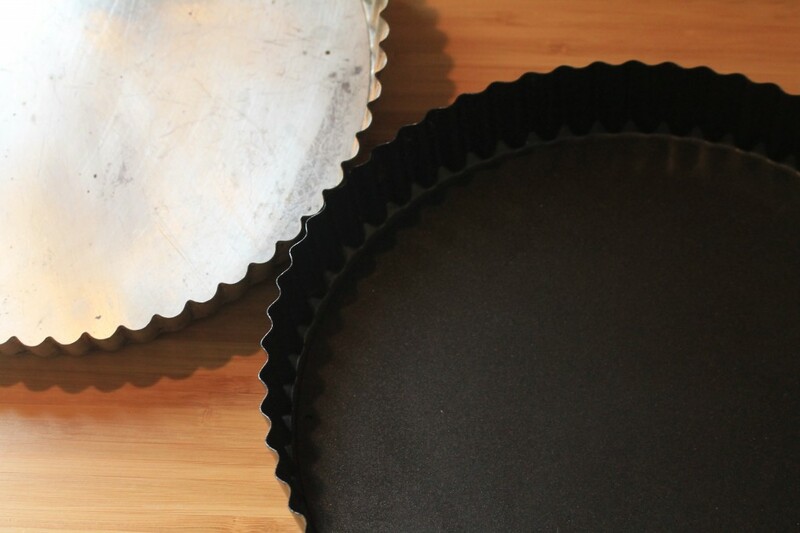 Lightly grease and flour a fluted tart pan. Roll out pie crust to fit generously into the pan covering the sides with a little overlap and into the grooves at the top as the crust will shrink a bit. Prick a half dozen small holes into the bottom of pie crust then refrigerate for ten to fifteen minutes before baking for seven minutes on top of a cookie sheet in the oven then removing. Into a mixing bowl whisk together the eggs and the heavy cream. Add in the nutmeg, salt, pepper, and cayenne, stir in the shredded cheese and parsley then gently stir the crab meat throughout. Refrigerate the egg and crab mixture for one half hour then remove and pour into the slightly baked pie crust. 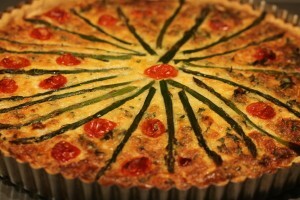 Top with blanched asparagus and seeded halves of cherry tomatoes arranged into a decorative pattern. Place filled tart pan back on top of a cookie sheet in the oven and bake Quiche for approximately one hour until the egg mixture is set and the top is golden brown. 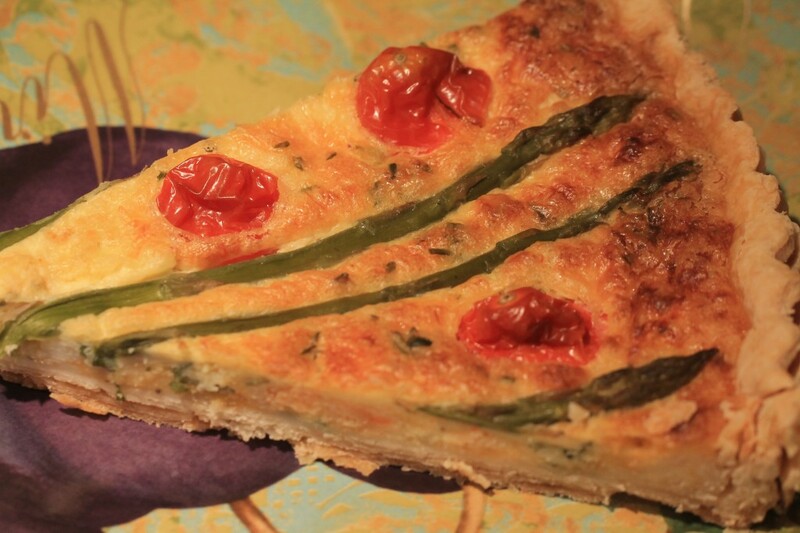 This entry was posted in Breakfast and Brunch and tagged Quiche Crab Meat Asparagus, Quiche Honore. Bookmark the permalink. Post a comment or leave a trackback: Trackback URL. Real men don’t eat quiche? Well, I do and find them delicious! Phil recently posted…One day I’m gonna smack someone upside the head in NYC! Hey Phil, Thanks for commenting on the Quiche that I am seeing now- I think I’m becoming delirious on the twice weekly sports travel and feeding so many folks following each game since mid-August. Nevertheless, being an open minded food person as you are it does not surprise me that you like Quiche, though simple, the Quiche definitely maintains a stature on its own. Thanks again for joining in.